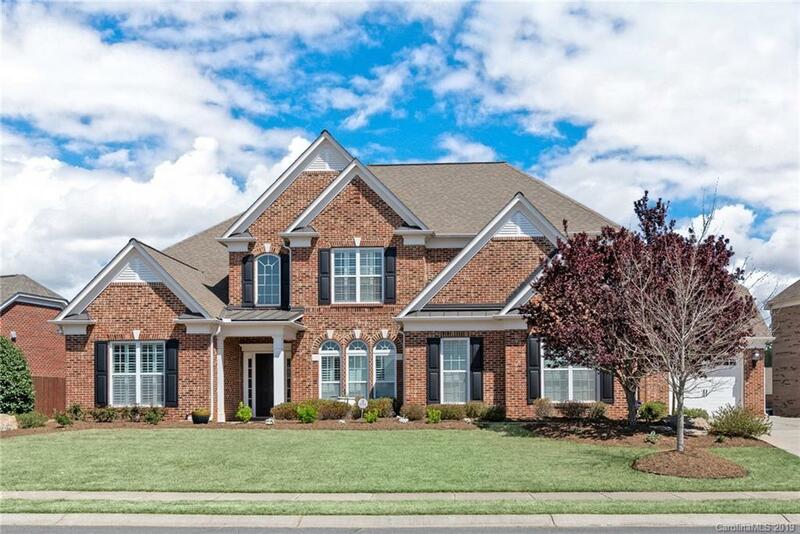 Beautiful Move-In-Ready 5 bedroom home with AMAZING backyard in popular Chimneys of Marvin. Gorgeous updated kitchen with white cabinets, granite counter tops, stainless steel appliances, walk-in-pantry and large kitchen island. Kitchen is open to sunny keeping area with built-in entertainment cabinet and fireplace plus separate breakfast area! Impressive Great Room with vaulted ceiling and fireplace. Master-down-plan with private entrance to beautiful backyard. Engineered Hardwoods on all of main. Designated home office on main with french doors. 4 secondary bedrooms up with private en-suites. Big walk-in-attic space! Home sits on half-acre lot. Gorgeous custom patio with pergola, built-in fireplace, dining area, full bar and grill. A dream for both relaxing and entertaining! Just a few doors down from the community amenities to include: 3 pools, tennis courts, volleyball, basketball, playground, fitness center and sports field. Zoned for A+ Marvin Schools that are around the corner!